In 1993, Ellen Ochoa became the first Hispanic female astronaut. Her first mission was a nine-day mission aboard the Discovery space shuttle. 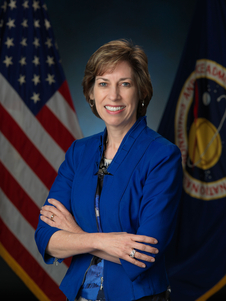 Over the span of her career, Ochoa served on four space missions. Before becoming an astronaut, Ochoa earned three patents as for optical systems through her work as an engineer. She co-invented an optical inspection system, an optical object recognition method, and a noise removal method for imagery. Ochoa was born in Los Angeles, California in 1958, but views La Mesa, California as her hometown. She has a strong academic background in the sciences, having received a bachelor’s of science in physics from San Diego State University, and a master’s of science and doctorate in electrical engineering from Stanford University. Ochoa worked, first as a doctoral student at Stanford, and then at NASA Ames Research Center, researching optical systems for image processing. She became the Intelligent Systems Technology Branch manager at Ames and was chosen to be an astronaut in 1990. As an astronaut, Ochoa logged nearly 1000 space flight hours. Throughout her career, Ochoa has been recognized for her many accomplishments. 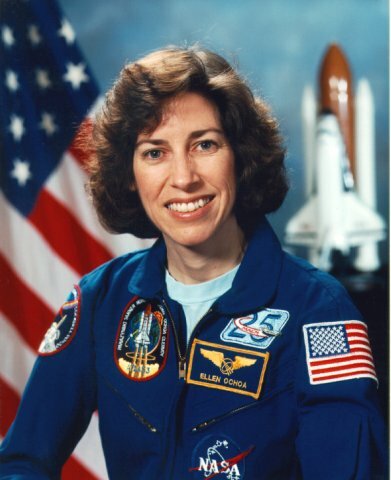 She has received several awards from NASA including the Distinguished Service Medal, the Outstanding Leadership Medal, and four Space Flight Medals. In addition, Ochoa has also received the Women in Aerospace Outstanding Achievement Award and The Hispanic Engineer Albert Baez Award for Outstanding Technical Contribution to Humanity. Four schools have also been named in her honor. Since 2012, Ochoa has served as the 11th director of Johnson Space Center in Houston, Texas. She is JSC’s first Hispanic and second female director. Ochoa is married with two children. She and her family live in Houston. Check out the PBS documentary MAKERS: Women in Space to learn more about Dr. Ochoa and other women pioneers in the U.S. space program!